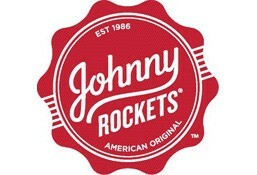 Johnny Rockets is currently closed for delivery and it will open at 12:00 PM today . Fried Falafel served with Tahini Sauce, pickles, tomato and lettuce in a Brioche bun. 6pcs deep fried Falafel served with Tahini Sauce. Grilled chicken breast, Chipotle ranch sauce, Pepper jack cheese, Crispy beef bacon, freshly sliced avocado, tomato and lettuce leaf served in a Brioche bun.